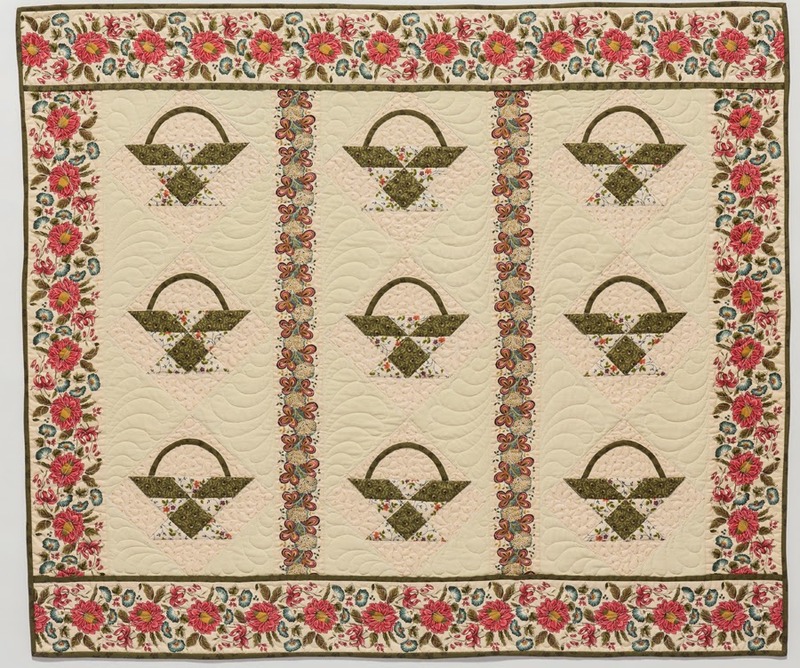 Then and Now....a new pattern company with my business partner Mary Robbins from Bozeman, MT...will feature both traditional and contemporary quilt patterns using Dargate fabrics. We have started with the Treasury line. Two of my designs (I am very much Then) have made it to the photographer. Here is my first offering...May Day. Patterns will be available thru ReproductionFabrics.com (retail and wholesale) late May. 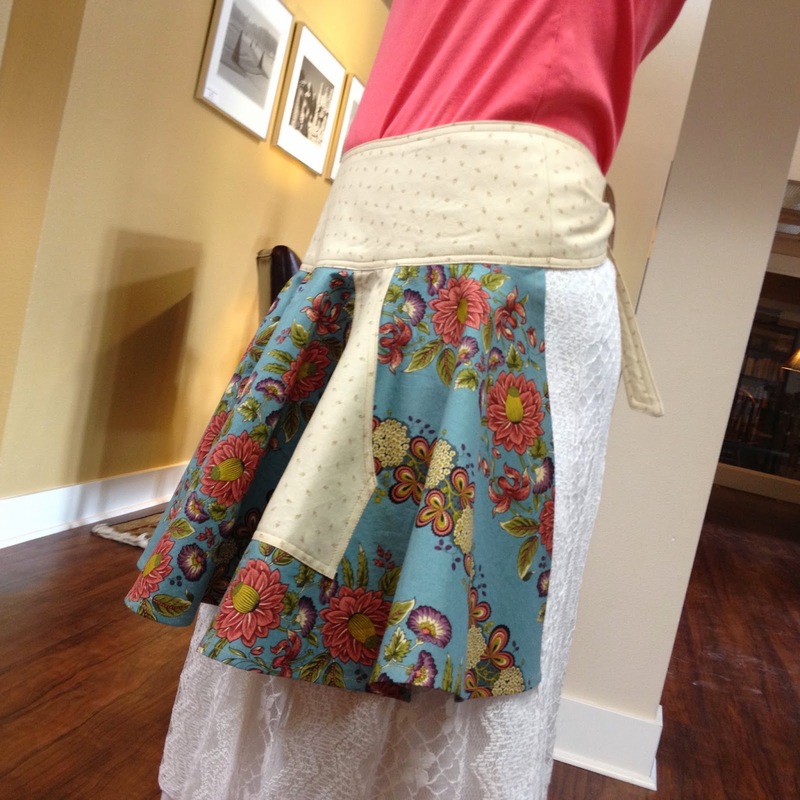 If circle skirts are popular again, then half circle skirt aprons must be twice as popular. After all, doesn't one circle skirt equal two half circle skirt aprons? Circle skirts are the inspiration for the Half Circle Skirt Apron pattern. The little skirts with the geometric stripes showing up in the store windows and the Sunday newspaper ads are catching my attention and, maybe, yours too. But, you don't have to buy a circle skirt and cut it in half to get a half circle skirt apron. 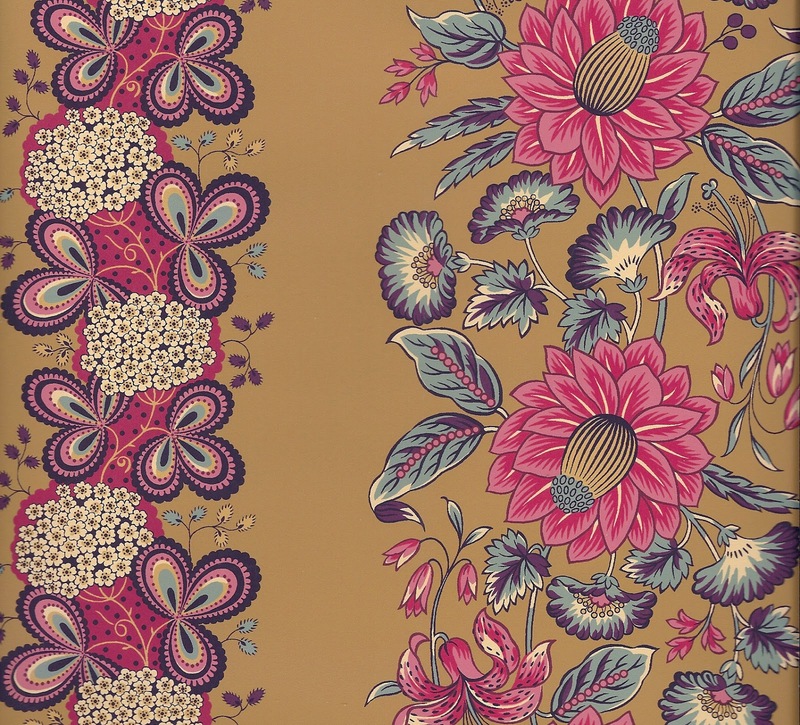 You can just make one from Margo's new fabric line, Dargate Treasury from Andover Fabrics available in early May. The floral stripes are perfect. My pattern includes two versions, the shorter "cocktail" length and the longer "cook" length. The pattern and kit will be available in mid-May at www.ReproductionFabrics.com and, if you are at Spring Quilt Market in Minneapolis, you might see Margo modeling it at her Schoolhouse presentation. And maybe she will twirl (circle skirts are known to cause this impulse) and you will see the floral stripes swirl. If you think that the Half Circle Skirt Apron is cute in the aqua color way of the Dargate Treasury floral stripes (A7791T) and cream coordinate (A7795TL), imagine a full circle skirt. It will be twice as cute. After all, don't two half circle skirt aprons equal one circle skirt? Oh, I'm getting weary of the math.